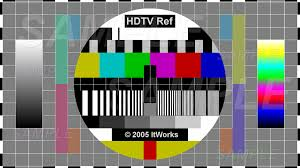 With roughly 20 million homes in the US today owning “HD-ready” TV sets, HDTV (High Definition Television) has become a bit of a catch-all acronym for roughly anything that is not standard definition (SD). Along with any new standard or technology comes the inevitable onslaught of abbreviations, acronyms, buzzwords, and otherwise cryptic terminology. For example, there is “over-the-air” HDTV content (used by the ATSC standard) – most people aren’t aware that a simple antenna bought at radio shack can potentially deliver a better quality HDTV signal than the latest digital cable box or satellite receiver! Want a better one? A recent study showed that of these HD set owners, roughly 25% had them connected to SD sources, and did not know they were not watching HDTV content! Another key element to HDTV is the cables that are used to connect between a source and a display. Someone can buy the latest 61-inch top of the line Pioneer Elite plasma display and hook it up to a brand new Toshiba HD-DVD player and see a worse looking picture than on my $99 Samsung DVD player. Why? The cables. While it is technically possible to connect a player and a display using RCA or S-video cables, many buyers are aware that they need at least component video cables (they are red, blue, and green) to get an HD signal. Even then, however, it’s only an analog HD signal, and doesn’t compare to higher quality digital cable connections, either DVI or HDMI. The DVI (Digital Visual Interface) standard is slightly older and quickly becoming outdated by HDMI, its newer counterpart, although both offer the same video quality (and are compatible with each other). DVI connections are most commonly found today on monitors, as opposed to home theater environments. HDMI (High-Definition Multimedia Interface) connections are able to carry both the audio and video signal from one device to another, which is easy for hooking up devices, and also much cleaner from the living room perspective. HDMI is relatively new, and only became commercially available in 2005, but has become the effective standard for most newer digital cable boxes and DVD players, and is even featured in the Xbox 360 (well, probably). Now there is already another standard being proposed to replace both DVI and HDMI, called UDI (Universal Display Interface), although it is primarily focused on the PC market. There is a new standard for HDMI (version 1.3) ratified just this past month that supports new audio formats included in HD DVD (and Blu-Ray) players. One other good thing to be aware of for digital cabling is that, unlike analog cables, there is a limit (typically about fifteen meters) to how long a cable can transmit a signal. It’s probably also worth mentioning that even a 2 meter long cable can cost upwards of $50. It may seem unusual to have such flux in cables and connectors, but the real drivers for such change have nothing to do with picture quality, it’s all about DRM (digital rights management). Even with CDs and DVDs, the audio/video quality presented to the consumer was highly compressed, but in the HD landscape, the quality is so pure (though typically still somewhat compressed) that content owners have much more to lose than ever before. If a user has a perfect quality version of a movie, they could make infinite perfect (or degraded) copies and it would be virtually impossible to differentiate a ‘professional’ edition from an ‘amateur’ copy. All this wonderful looking and sounding HD content needs new protection, and it is coming in the form of HDCP (High-Bandwidth Digital Content Protection). Most new digital cable boxes, satellite receivers, and HD-DVD players use HDCP on all content emitted on HD outputs (MovieBeam too). Now it’s time to put this information all together. The HDCP-protected content will not output on a display that does not include HDCP unlocking. This means if you hook up an HD-DVD player to your plasma display with component cables, everything will look fine. But when you hook it up with HDMI cables, if your plasma doesn’t have HDCP support, nothing will play at all (whereas if it does have HDCP support, it will look better than the component cables). The good news is most consumer-grade LCD and plasma displays sold in the past few years have HDCP support built-in, and everything should work fine. With the next-generations of media PCs, cable boxes, satellite receivers, DVRs, DVD players, and game consoles all offering HDTV services, the future has literally never looked so good. While there is no real winner or loser in the HDMI/DVI space, it seems extremely likely that HDMI is bound to be the dominant cable format for the next few years. Especially because it supports up to 10.2 gigabits per second throughput (that is a LOT of data) and has built-in HDCP support for the content industry. Although with all that fancy technology inside, the nicest part for consumers is finally having the convenience of only making a single connection from device to device! For the absolute best bang for the buck, get the Syntax Olevia LT32HVM (or LT32HVE) 32” LCD – I like it so much, I have one at home! Do NOT forget to budget in cables, TV stands (or wall mounts), and shipping costs (if buying online) when shopping for HDTV. Also, check in with the local cable and satellite companies to understand all the available options for your area! Good luck, and welcome to the HD club! cheap radio shack UHV/VHF antenna for getting OTA signals GOOD! It continues to amaze me that the same old (don’t be fooled into buying ANY expensive UHF/VHF antenna that says HDTV READY, or MADE FOR HDTV) antennas that we have used for YEARS are capable of giving us the 10-20MB of OTA HD goodness that makes the HDTV sets really shine. I haven’t seen ANY Satellite or Cable content and that includes the old DISCOVERY HD before it was compressed, that matches what the OTA antennas will give you in image quality. Awesome article. I think I learned!